Vintage early 1920's silk party dress. Please note: dress is in POOR condition and sold as is for pattern/display or fashion study. 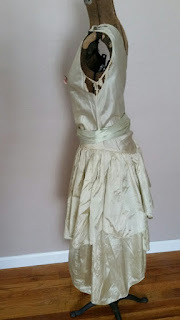 Vintage clothing is used clothing and sold as-is. Very fragile but can be used for a display. 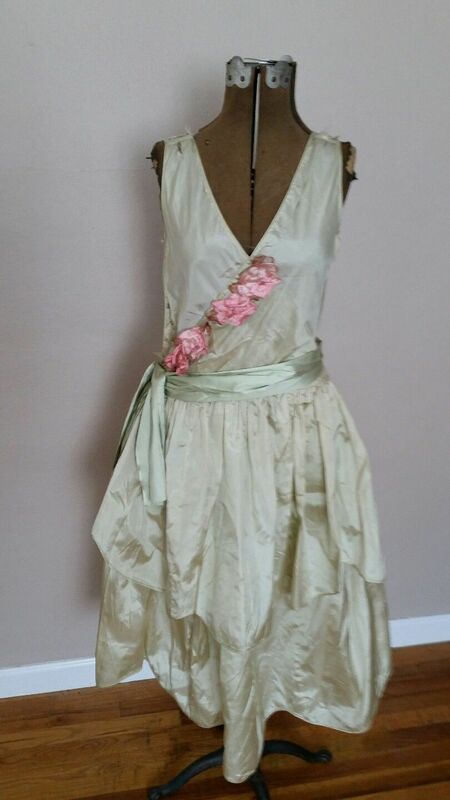 Pale soft green silk dress with tiered skirt ending with a petal look. 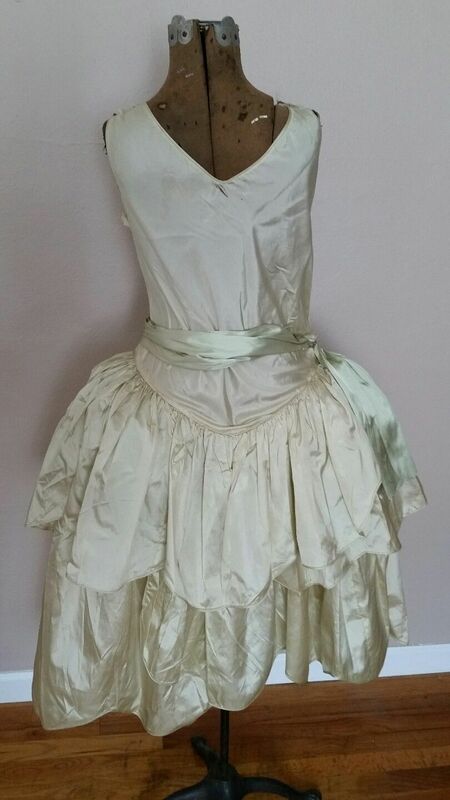 Slight dip to skirt from waist to hemline along one side. Piped waistline. Darker silk underskirt with pale green petal tier. 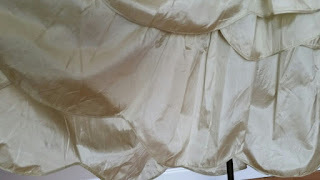 Lot's of splitting to the main silk fabric as shown in photos. This was once a beauty in its day! 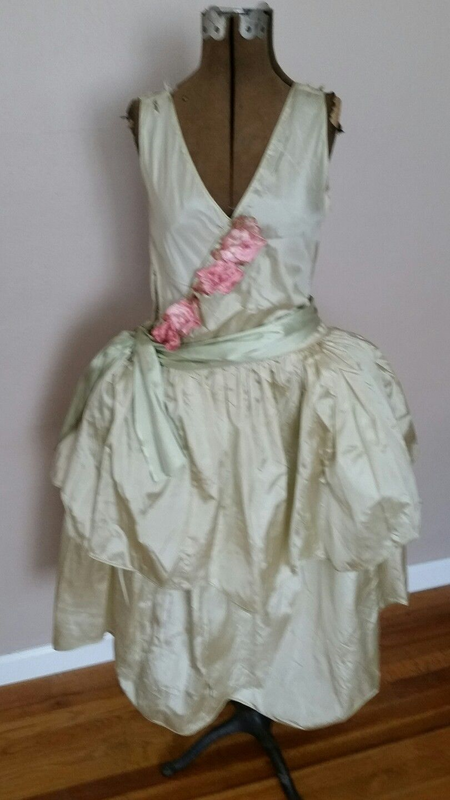 Silk sash belt wraps around waist. Snaps missing from belt. It is pinned in place. Large bow drape. Hand created pink petal ribbon flowers adorn front diagonal bodice. These flowers are deteriorating. Armcyces in bad condition. Side snap closure. I am not going to do measurements on this garment due to its condition. NOT WEARABLE! 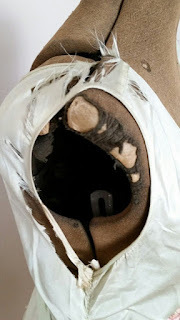 Underneath has panniers that hold the skirt out. 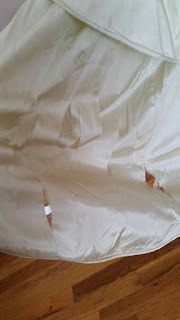 I have soft tissue paper underneath to show the true look of the garment. 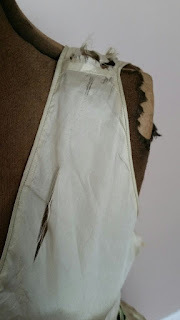 Lot's of splitting in the silk fabric bodice in good condition with a few small splits. Skirt shows more wear. 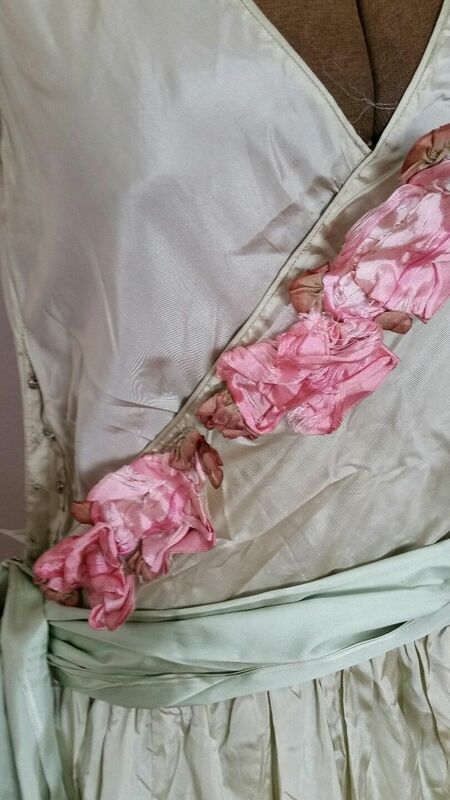 Silk was chemically dipped and the solutions used deteriorated these fabrics. SOLD AS-IS! NO RETURNS. NO INTERNATIONAL SALES. Due to non paying bidders, please, bid only if you intend to honor the transaction. Thank you. 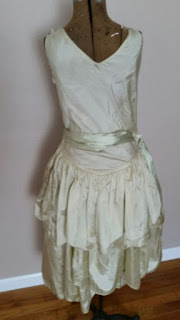 Ladies and Gentlemen, I believe I have found my new favorite antique dress. This is just perfection! A petal hem on a mint green 1920's party gown with pink flowers on the front and a cross over bodice? Yes, please!!! 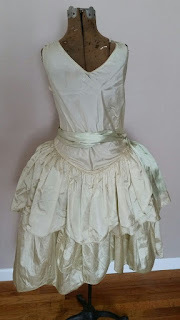 The robe de style, which is often associated with Lanvin, is characterized by its dropped waist and wide skirts designed to resemble court dresses of the 18th century. The style safely hid the figure, which made it comfortable for clients of any age and shape. 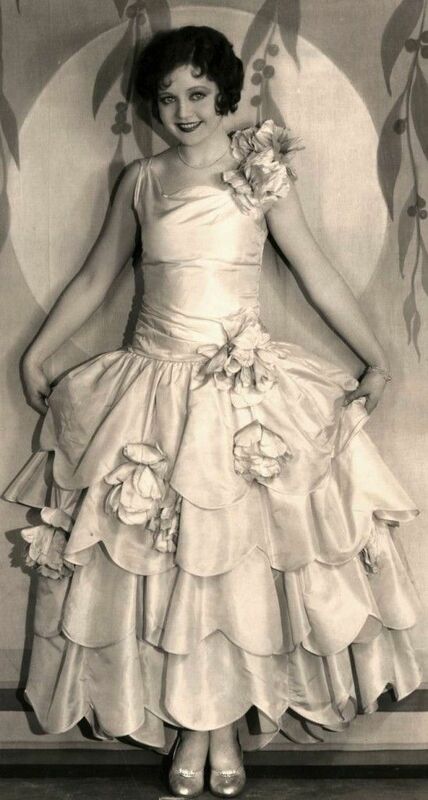 This particular robe de style's uncomplicated bold decoration and sculptural silhouette is unmistakably iconic of the 1920s haute couture style of Lanvin.